After discussing the US auto brand sales ranking for January, let’s zoom in on the models ranking. January was a month of big changes in the Top 10. While Ford F-Series held steady at the top of the segment, its closest rival Chevrolet Silverado saw its sales rise by 14.5%, continuing its good run from December, and suggesting that the model may be “priced to move” ahead of the market debut of the new generation model. By comparison, Ram Pickup had a poor month by its own standards, seeing its sales fall by 13.1% and falling to fifth spot, its lowest ranking in over three years. 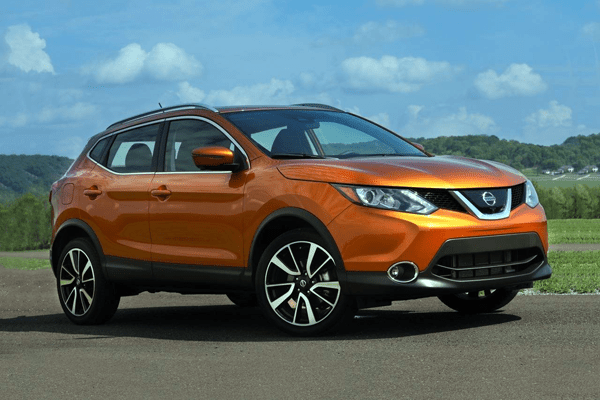 This allowed Nissan Rogue to enter the Top 3 for the first time ever, followed by Toyota RAV4, with both models seeing their sales rise by over 20%. But the rise of the compact crossover was truly underlined by the performance of the new Chevrolet Equinox, which saw its sales rise by over 50%, good enough for sixth spot – its highest-ever ranking. But this is not to say that all compact crossovers can be winners – Honda CR-V saw its sales fall by 16.9%, an alarmingly poor performance for a new model. Also bucking the recent trend of decline in the mid-sized cars were the new Toyota Camry (sales up 21.8%) and the soon-to-be-replaced Nissan Altima, whose sales were up 6.6%, allowing the model to re-enter the Top 10 for the first time in almost a year. After entering the Top 10 in December Ford Explorer could not repeat the feat in January, losing 15.0% of sales and ending up in 18th spot. Other models whose performance disappointed include the new Honda Accord, whose sales were 14.5% lower than those of the old model this time last year, Chevrolet Cruze, which after holding sales steady in 2017 was down almost 50% in January (thanks in large part, one would imagine, to the success of its Equinox crossover sister), and the new GMC Acadia, whose sales were 16.4% below Jan’17. Many more cars enjoyed a good January, though. 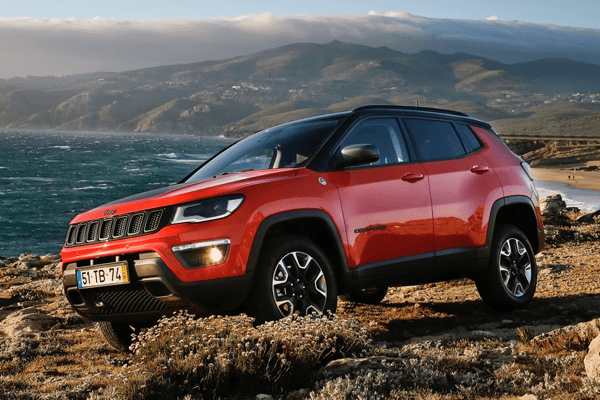 Top of the list is were new or newish cars like Jeep Compass, whose sales almost trebled and whose ranking of 31st was its second-best ever, Honda Pilot, Mazda CX-5 and Nissan Murano, whose sales all rose by over 55%, as well as the Subaru Crosstrek and Chevrolet Traverse (sales up by more than 40%). A few aging models had a good month too, including Nissan Sentra (sales up by 31.9%), Jeep Cherokee (sales up 16.5%) and Chevrolet Colorado (sales up by a quarter). 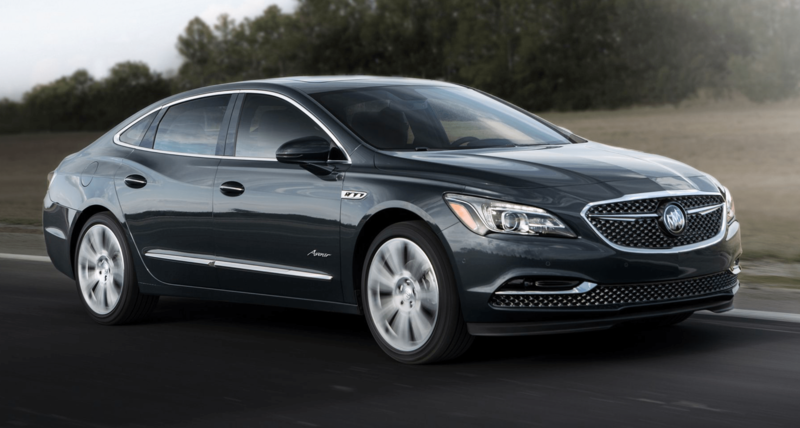 In the Top 51-100 the standout performances came from the new Buick LaCrosse (sales up 130%) and the Mitsubishi Outlander and Outlander Sport duo (sales up 96.7% and 69.8%, respectively). Other cars that enjoyed good performances were the new Ford Expedition (sales up 58%), Mercedes-Benz GLC (sales up 56.4%), the ancient Ford E-series and the aging Nissan Frontier (sales up 55.2% and 53%, respectively), Chevrolet Express (sales up 44.3%), Lexus NX (sales up 41.9%), Infiniti QX60 (sales up 38.4%) and the outgoing Toyota Avalon (sales up 34.1%), while Nissan Titan (sales up 46.4%), continued its strong performance from last year. By comparison, January was a really bad month for Chevrolet Impala (sales down 47.3%), Volkswagen Golf and Jetta (sales down 53.1% and 33.9%, respectively, clearly suffering from the introduction of the new crossovers) and Dodge Journey (sales down 73.4%). Also not doing so great were Mercedes-Benz C-class (sales down 33.7%), Kia Optima (sales down 33.9%), Kia Soul (sales down 24.9%), Hyundai Sonata (sales down 25.4%), Nissan Pathfinder (sales down 27.4%), Dodge Charger (sales down 27.4%), and Jeep Renegade (sales down 29.1%), the latter suffering competition from the new Compass. January was a poor month for many traditional sedans, with Volkswagen Passat, Chrysler 300, Mazda6 and Audi A3 all seeing their sales fall by 50% or more, all while the 5-door coupe/sedan Sportback version of the Audi A5 helped the model to yet another great performance. Sales of the new Volvo XC60 and Lincoln Navigator began in earnest, generating sales growth of around 100% for both, while sales of the new Porsche Panamera continue their upward march. Finally, over at Range Rover sales of the Range Rover Sport and Range Rover fell by over 50%, caused mainly, one would imagine, by internal competition from the smaller, but in many ways more desirable Range Rover Velar. 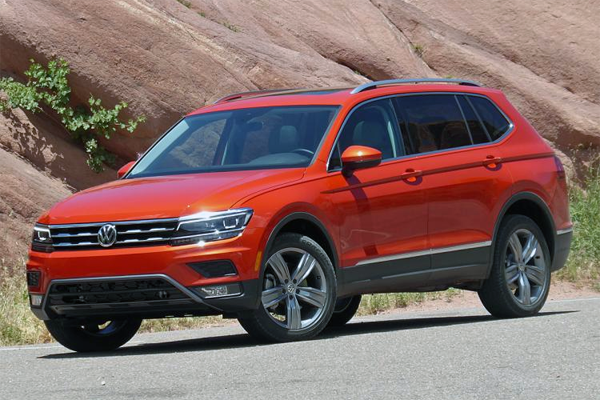 Sales of the Volkswagen Atlas continued apace as the model once again ranks in the 70s, though this performance was easily outshone by that of its smaller brother, the Tiguan L, whose sales unusually rose between December and January to give the nameplate its highest monthly sales figure of 6,336, and its highest ranking of 53. Also enjoying its best-ever month was the Toyota C-HR, whose sales almost reached 4,000 and which ranked in the Top 100 for only the second time. Meanwhile, sales of the supply-limited Tesla Model 3 hit a new high of 1,875 – low compared to Elon Musks blusterous predictions, but not bad by EV standards, as the model easily outsold the hybrid Hyundai Ioniq. Over at Alfa Romeo the Giulia had a considerably better month than the Stelvio, unusual given the crossover’s added appeal in the middle of winter, while Kia Stinger crossed the 1,000 threshold for the first time. Honda still has production limitations on the CR-V and it is just rolling out the 2L version of the new Accord. Also, in contrast to the heavy incentives on the new Camry, it is not incentivizing Accord sales. Honda boasts the lowest incentives among major automakers, as its focus is on brand protection (it also doesn’t supply fleets, which also distorts January sales). @Janet – thank you for the very interesting information, it always helps to have such background info to truly appreciate the sales figures. That said, I am curious – as a company with huge experience and a steady customer base Honda should have expected the big demand for the new CR-V, so why did it not expand the production capabilities ahead of its debut? Is it that its current factories have become too small for it? Do you have any news about Peugeot, Citroen and DS entering the US market? And what about Ssangyong? According to some sources they also have “American dreams”, but with a completely new brand name. The World Cup Soccer 2018 is the most notable sporting business of the year. In document details, it’s the most well-established anyhow of the insensate and buried four years. The eyes of the uncut in seventh nirvana desire be following their teams at the The human race Cup 2018 Russia, as 32 teams contend in the biggest sign known on Earth. It’s been loquacious four years waiting in return the FIFA Length of existence Cup 2018. Nearby its repetition comes a plethora of betting opportunities and frugal except promos.